We’d love your help. 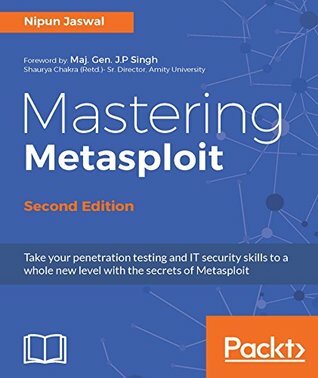 Let us know what’s wrong with this preview of Mastering Metasploit - Second Edition by Nipun Jaswal. Nipun Jaswal is an IT security business executive & a passionate IT security Researcher with more than 7 years of professional experience and possesses knowledge in all aspects of IT security testing and implementation with expertise in managing cross-cultural teams and planning the execution of security needs beyond national boundaries. 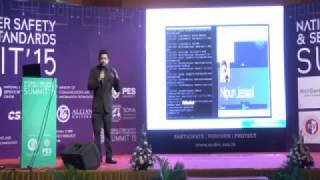 He is an M.tech in Computer Sciences and a thought leader who has contributed in raising the bar of understanding on cyber security and ethical hacking among students of many colleges and universities in India. He is a voracious public speaker, delivers speech on Improving IT Security, Insider Threat, Social Engineering, Wireless forensics, and Exploit writing. He is the author of numerous IT security articles with popular security magazines like Eforensics, Hakin9, and Security Kaizen etc. Many popular companies like Apple, Microsoft, AT&T, Offensive Security, Rapid7, Blackberry, Nokia, Zynga.com and many others have thanked him for finding vulnerabilities in their system. He has also been acknowledged with the Award of excellence from National cyber defense and research center (NCDRC) for his tremendous contributions to the IT security industry. 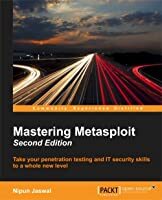 To ask other readers questions about Mastering Metasploit - Second Edition, please sign up. He has authored Metasploit Bootcamp, Mastering Metasploit, and Mastering Metasploit—Second Edition, and coauthored the Metasploit Revealed set of books. He Nipun Jaswal is an International Cyber Security Author and an award-winning IT security researcher with a decade of experience in penetration testing, vulnerability assessments, surveillance and monitoring solutions, and RF and wireless hacking.